[GUIDE] How to Successfully Onboard New Employees? ( Editor’s Note: Today’s post is brought to you by our friends at Readex Research , which provides expert survey services to help businesses understand their internal and external customers. So, when new hires arrive, the goal is to get them productive as soon as possible. (Editor’s Note: Today’s post is brought to you by our friends at SilkRoad , a global leader in Talent Activation. 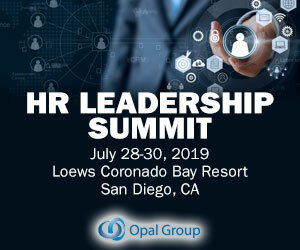 At this year’s HR Technology Conference and Expo, SilkRoad announced a strategic partnership with CareerBuilder to provide client companies an enhanced onboarding experience. Whether your team’s hiring its first remote employee or its 79th, don’t skimp on putting thoughtful intention behind your new hire onboarding program for remote workers. That’s okay, so did ExactHire when we started allowing employees to work remotely over seven years go. The current employees are concerned about how the new hire is going to impact their work life. How diligent of a worker will they be? Managers are concerned as to whether the new hire will be productive quickly and how much time it will take to train him or her. 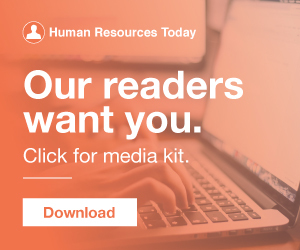 (Editor’s Note: Today’s post is brought to you by our friends at SilkRoad , a provider of strategic onboarding solutions to drive workforce readiness and organizational transformation. Onboarding continues to be a strategic focus for organizations. Including onboarding as part of performance management enhances the employee experience , which in turn improves retention and helps to create a more productive and connected workforce. Employee onboarding is more than orientation. Click To Tweet. Top talent should be able to get what they deserve for their skills and experience. However, too much competition can cause employers to throw money at their recruiting problems. I hate to say it, but it can be. Employees don’t want to be underpaid. Take a job at any of the top Forbes 500 companies, and you will notice that they have the art of onboarding down to a finely-tuned science. In this episode, we will go over everything that is needed to create a complete employee onboarding framework. Onboarding new hires is increasingly important in the workplace – from the hottest startups to more established companies, everyone is talking about it! That translates into making the new hires experience amazing from when the sign their contract to several weeks and even months after their first day. Even though most companies understand the importance of onboarding the actual execution and ambition of the onboarding differs a lot. Our guide on how to successfully onboard new employees will help you create a fun, innovative and smooth onboarding process. Here you will find all the tips, tools and templates you’ll need to effectively welcome and integrate your new employees in no time! According to the Academy of Management Journal, it typically takes new employees about 90 days to adjust to a new job. When you think about the term “onboarding,” you probably picture putting together a training manual, making introductions, and setting up workstations. (Editor’s Note: Today’s post is brought to you by our friends at SilkRoad , a global leader in Talent Activation. Hope to see you there! The primary goal of onboarding is to make employees productive. For many companies, that aligns with their onboarding process. Can an organization engage and train new hires during onboarding, regardless of location and circumstance? 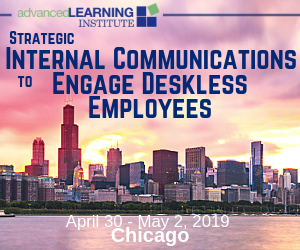 This webinar will address how to improve your organization’s onboarding so that it will engage all employees, regardless of their work situations. (Editor’s Note: Today’s post is brought to you by our friends at Readex Research , which provides expert survey services to help businesses understand their internal and external customers. A key factor in employee retention is onboarding. Maybe you are waiting to see how it all pans out. Waiting to figure out how to get your workforce – and your talent acquisition investment – to transform along with the organization. So you think you know onboarding? Serving the Changing Workforce How HR Service Delivery Software. Supports Every Type of Workforce The days of the typical nine to five workday are dead and gone. naturally needed to support different types of workers, like. it comes to the traditional measures of engaging. More and more workers are choosing to work remotely. In many organizations, it’s common to take a new hire out to lunch, hang a welcome sign at their desk, or give them company-branded gifts to welcome them on their first day. Use buddies to boost bonding. Onboarding. We all know how crucial it is to get our new hire experience right. Retention, productivity, engagement… these all depend on making sure that your new employees are onboarded correctly. How To Create an Onboarding Program. The whole purpose of a HR department is quite easy to define: it’s all about bringing the right employees into the company and helping them grow. In between the moment of employment and the process of growth, there’s an important stage, onboarding. Employees are 69% more likely to stay with a company for three years if they experience great onboarding however 60% of companies fail to set milestones or goals for new hires. Employee onboarding is a crucial element in forming a great employer brand and reputation. The onboarding process can be one of the most overlooked areas for organizations needing a quick win in the overall employee experience. Instead of leveraging this process as a way to drive engagement and create a lasting impression, some organizations tend to deliver a subpar experience or forego the practice altogether. Employees want an onboarding experience, but all too often they only get an orientation session and a handful of paperwork to sift through. You’re on to greener pastures. Even the barista who makes your morning latte knows how much better life will be at your new gig. HR employee onboarding onboardingYou got a cool new job. Your excitement can barely be contained. Hasta la vista, everyone you’re leaving in the dust! There’s an extra spring in your step. And then you […] Source. The idea being that the more technology we are exposed to, the more of a personal touch we want in our interactions. There’s never been a better case study for this than onboarding. Organizational culture defines when the onboarding process starts and ends. Onboarding is a determining factor in how well employees will adapt to new roles. Digitals tools can help the process of onboarding new employees by providing knowledge, resources, and most importantly, connections to coworkers. Want to stay updated? Whether you dread or embrace onboarding, the reality is that onboarding is a crucial part of operating a business. To be clear, for many who fall into the former category, it’s not usually the actual process of onboarding that inspires feelings of dread. Rather, it’s often related concepts like retention and turnover, not to mention … Continue reading. The post How To Overcome Common Pitfalls of the Onboarding Process appeared first on Trainual. Want to create a better experience for your new starters? Read our guide to creating a better employee onboarding process. Getting your onboarding process right is essential for making sure that your new hires are welcomed into your organisation, feel supported and valued during their first few weeks with you, and become productive members of your team more quickly. Ready to take your onboarding strategy to the next level?